I did a double take. Why? Because I happen to have this dresser. 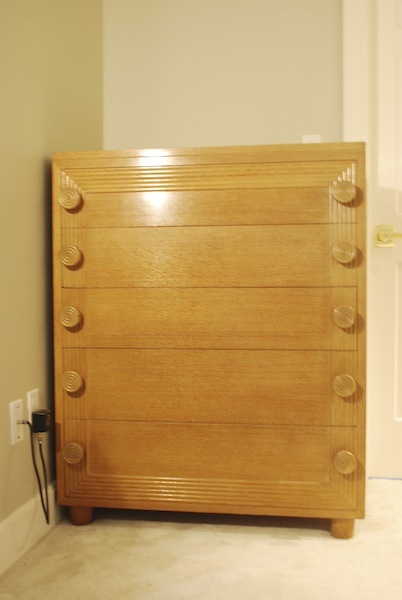 This dresser has been in my family for years, and recently, my brother gave it to me to use in my son's bedroom. For FREE. Bet my brother is going to be sorry he let me have it. Do you think if I painted both pieces black, I could sell them for 6 grand?? I'd probably have to change my name to Bunny Williams first. So, I guess the moral of this little story is to hang on to your old stuff. You never know when a world famous designer will be inspired by it. Carolyn I saw that dresser in Elle and I kept thinking I had seen it somewhere before. It was yours I was remembering! I'd say Bunny was more than a little inspired...it's pretty much an exact copy. PS love both of your dressers. 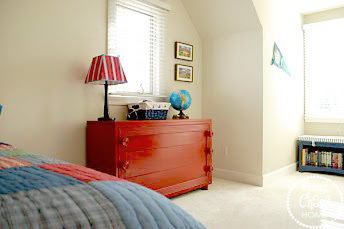 Hey before that dresser was your tween's or your brother's, it was mine! I think I need to bring a U-Haul out and see what other treasures I can find. How awesome is that!!!! They are super cool dressers. A year ago I bought two matching lamps at a yard sale for $2. I then saw that they were marked and looked them up. They had sold for $1200! Gotta love it when that happens. 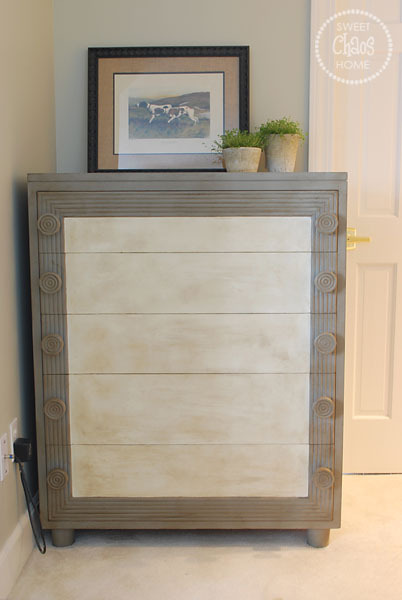 Oh my gosh...that is a beautiful dresser...so unusual...love it! I'd say she'd be even more inspired if she saw how much better yours look!